A call at approximately 7:20 am this morning sent Elgin rescue personnel one and a half miles south of Elgin to the scene of a roll over accident. A Ford SUV was southbound and apparently went off the edge of Highway 14 and over-corrected. The vehicle then left the highway and rolled onto its top in the east ditch. The driver was transported to a local hospital by Elgin ambulance. 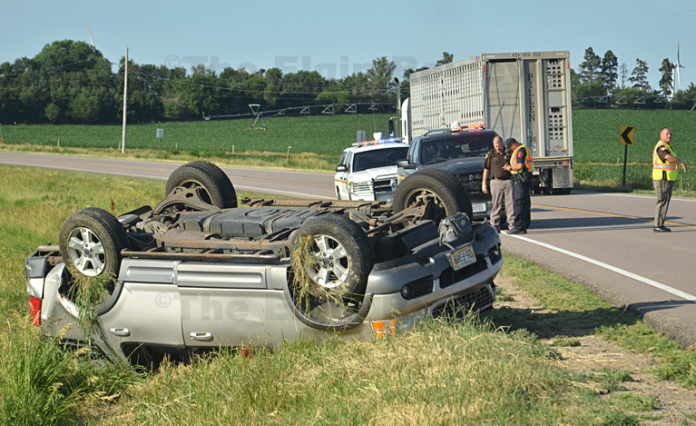 Responding to the accident were the Antelope County Sheriff’s Department and Nebraska State Patrol.